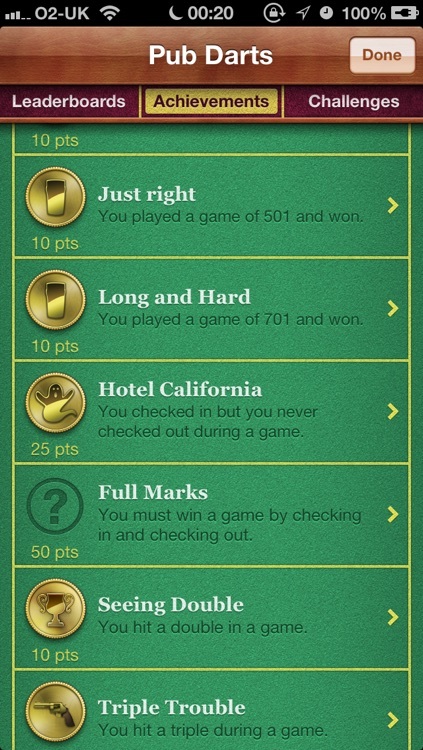 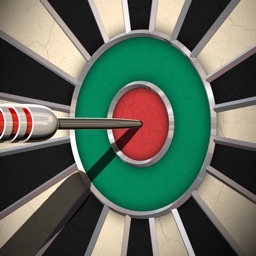 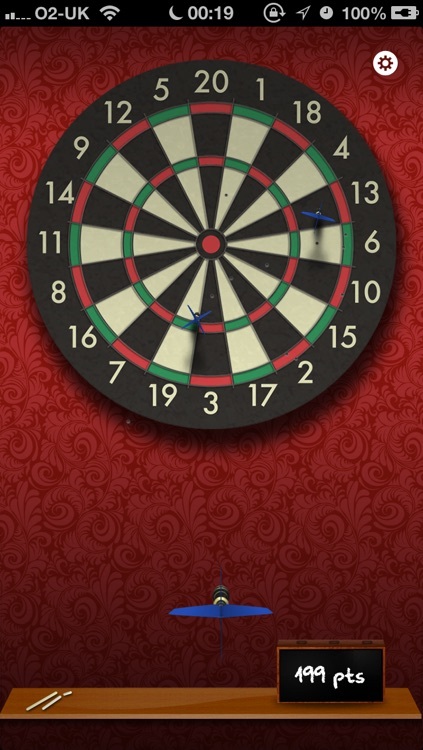 You could be throwing darts in next to no time and now with Game Center leader boards and challenging scoring, can you master it and beat your friend's score? 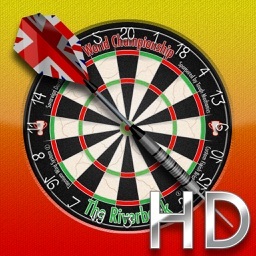 Set in a trendy London pub this classic game features rich graphics, achievements and flick throwing as well as boss mode! 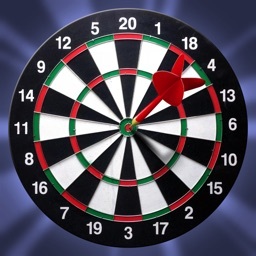 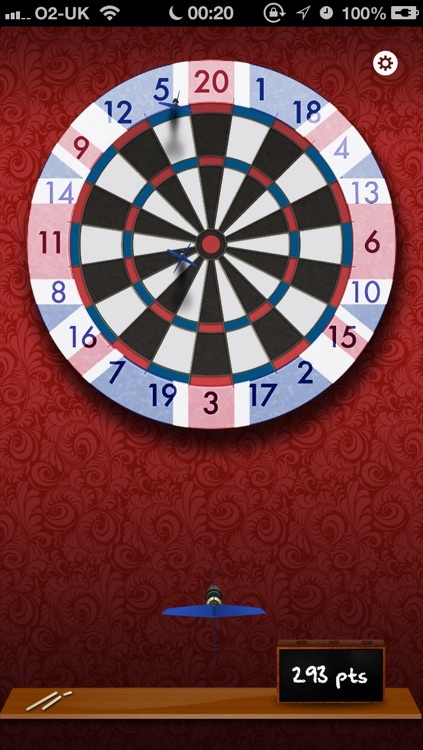 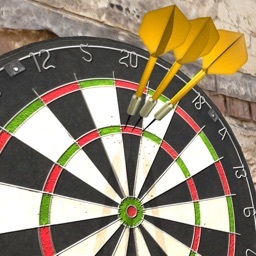 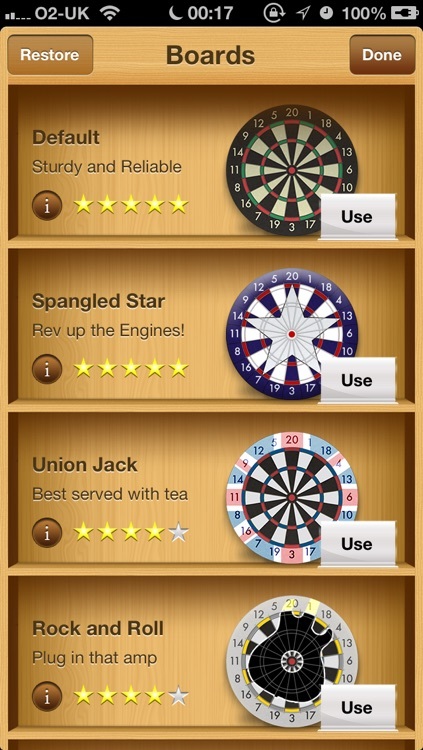 We've also added a board store so you can personalise your board further with new dartboard designs! 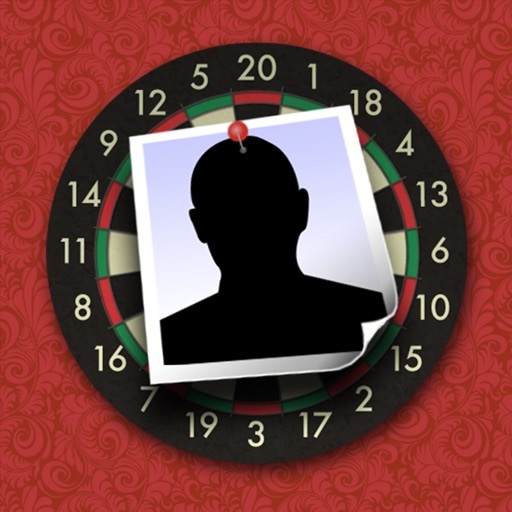 Grab a photo from your library, take a picture or connect to Facebook and pin a "friend's" profile picture to the dartboard. 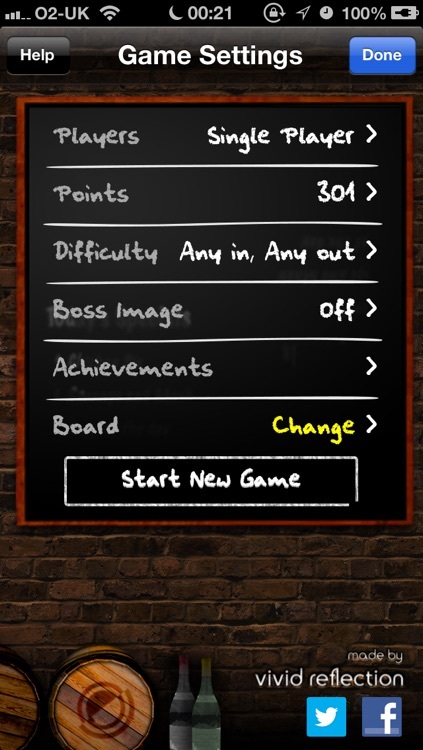 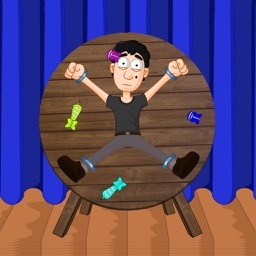 It's so easy to let off some steam by throwing darts at pictures of your boss so download it and start playing now.